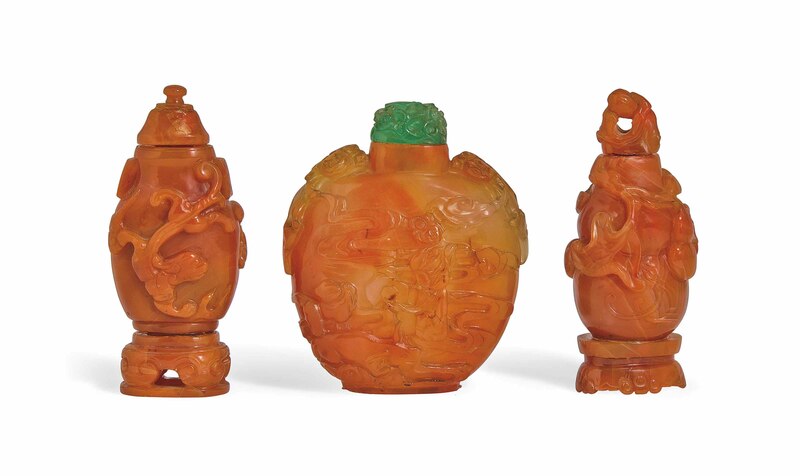 The first is of flattened ovoid form and carved with two Buddhist lions to the shoulder, a lady and an attendant, and flowers. The second is carved as a double gourd on a stand, surrounded by further gourds on the vine. The third is carved in baluster form, decorated with two striding chilong. It rests on a carnelian agate stand.